So that’s the first month of my MT-10 summer done. So far, mainly good. 1 The way its gravelly crossplane motor picks up from nowhere. Its free-revving punch jerks your arms straight and lofts the front wheel off crests and bumps like a Japanese Super Duke 1290. Hooray! 2 It does 164 indicated mph. 3 It is incredibly easy to ride fast – on track it turns beautifully, dings a peg and then grunts out of corners like a, well, like a super naked version of an R1. 4 Clear mirrors, a deep seat and a tall, commanding view. 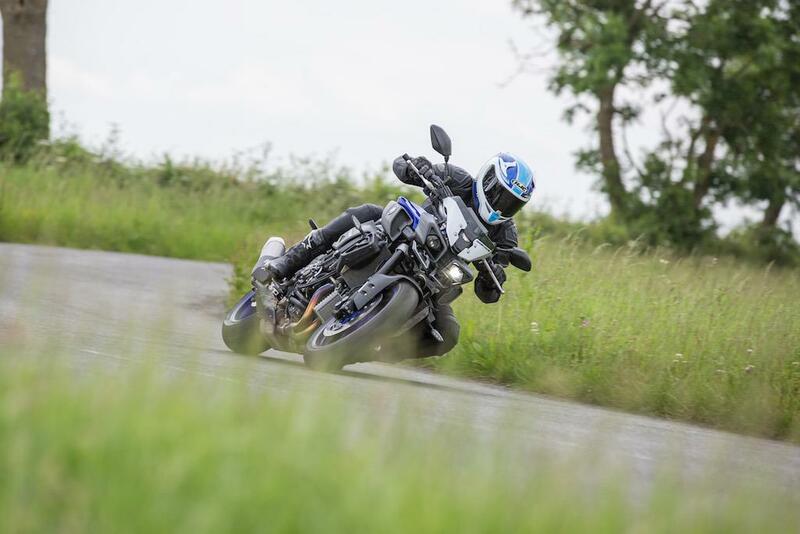 1 The MT feels heavier and bulkier – its response slightly duller – than the KTM. Swapping the factory fitment Bridgestone S10s for Metzeler Racetec RRs sharpens it up. 2 The low-fuel warning comes on at just 90-95 miles. Like the MT-09 the warning itself is very low key – just a flashing LCD bar with no illuminated light on the dash at all – and very missable. There is a fuel gauge but so far it has gone from full to half full to empty in three unhelpful jumps. 3 One of the push-fit vanes on the tail section went missing when I was speed testing for that to[ speed figure. 4 The seat is wobbly, as if it isn’t properly located and the clutch on my bike is grabby and judders badly when the engine’s cold.